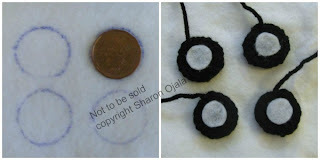 Special notes: I worked in continuous rounds with a 3.75mm hook. Have any questions or if you come across a mistake in the pattern please leave a message in the comment section below. 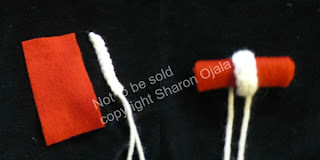 hot glue a piece of red felt to the front of the ear leaving a row between the bottom of the felt and the bottom of the ear as pictured. And that's it. 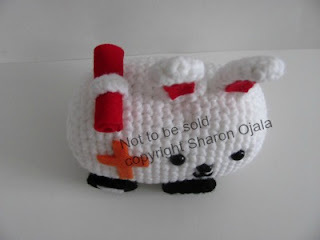 I hope you enjoyed the pattern and got your Ambulance Bunny made. 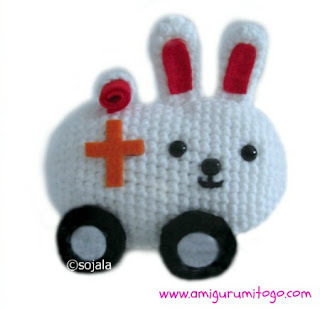 If you did make a Bunny, please post pictures on my facebook page Amigurumi Freely, I would love to see! 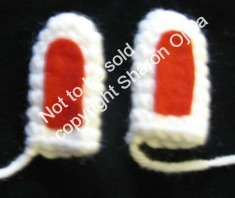 There's more fabulous Bunnies in this series! Look in the label list on the right side of this page.